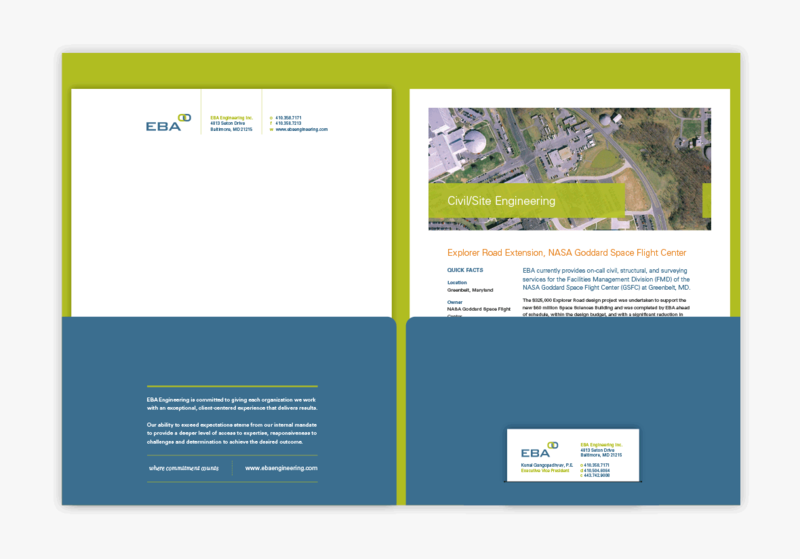 EBA Engineering, a regional civil engineering firm with public and private sector clients, engaged Substance151 to reposition the firm at a critical junction in its growth strategy. In analyzing EBA’s markets and competitive environment and through extensive customer interviews, Substance151 uncovered that EBA had built a solid reputation for its ability to solve diverse, complicated problems with unwavering integrity and unprecedented foresight. Despite the industry war cry that all that matters is final product delivered on time and on budget, it was actually the “experience” of doing business with EBA that customers valued most. Given the same specifications and the same desired outcome and assuming a similar level of technical expertise among top firms (EBA’s competitors), the end “product” will be similar no matter which firm is doing the work. When product is equal, experience is all that matters. Experience becomes product. The insight that the experience was the real product became the cornerstone of the brand strategy, and we set forth to identify the specific attributes of the experience that had the greatest impact on the perception of value. We developed a new tagline, corporate identity, new website and collateral to convey the story behind the “Formula for Success.” We translated the brand platform into a compelling customer experience that provides audiences with tangible proof of EBA’s promise. 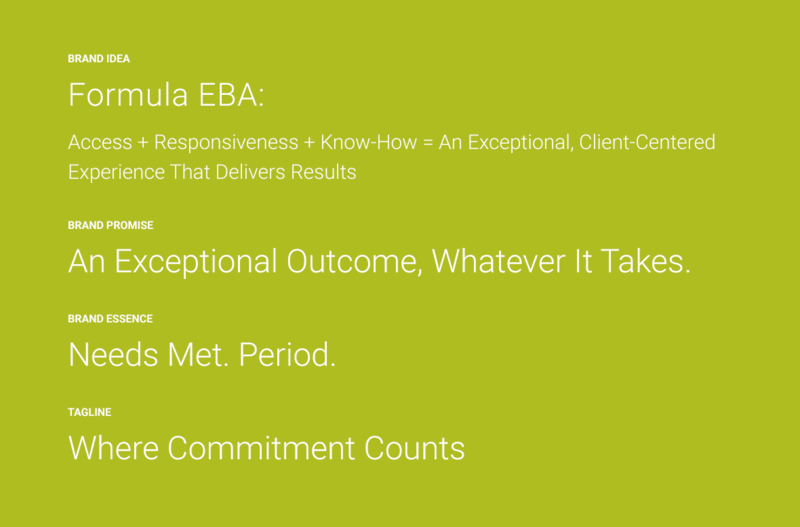 The “Formula for Success” platform has given EBA a significant advantage by enabling the firm to address hidden customer needs wholly missed by its competitors. 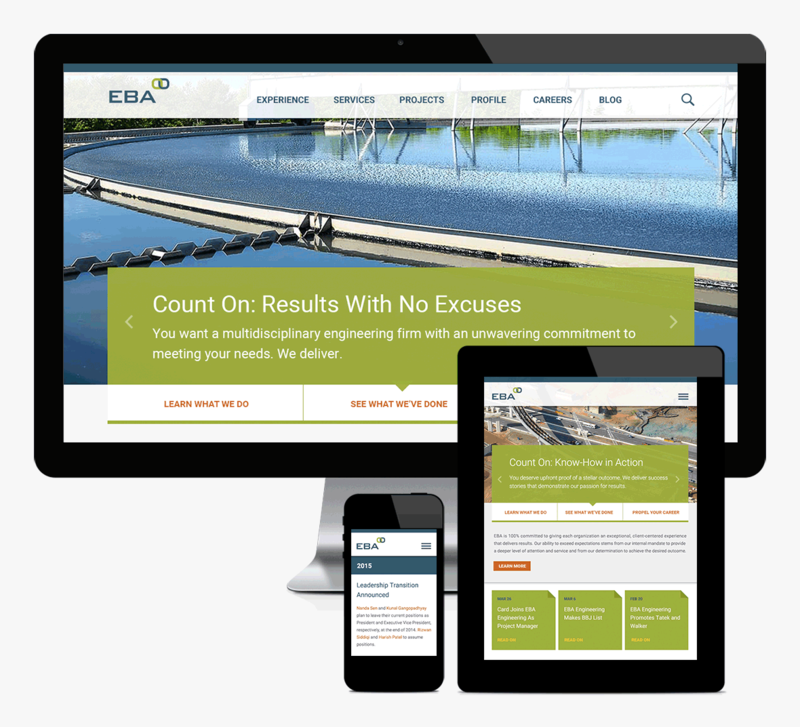 Realizing a major change was needed for the company, EBA Engineering retained Substance151 to perform a complete rebrand consisting of a brand strategy and positioning, new logo and corporate color palette, print and digital collateral and a new website. The journey was absolutely worth every step. Substance151 really understood our needs and produced a product that was in synch with EBA’s core values. 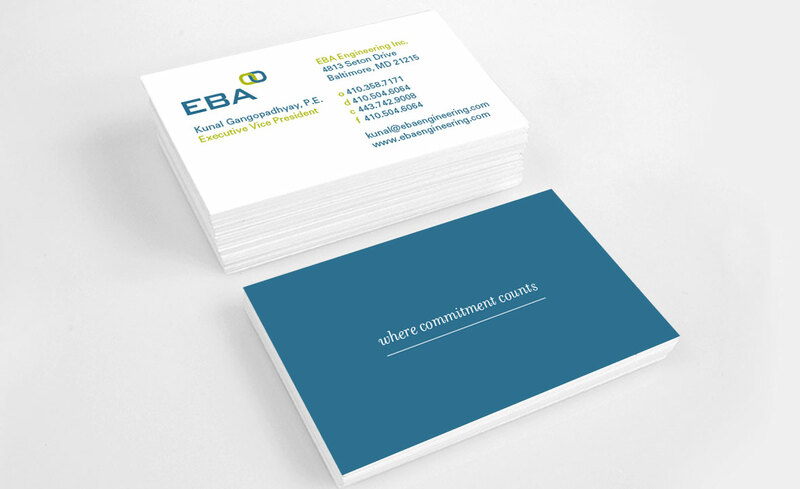 The end result was a professional, polished, refreshed look for EBA that continues to garner many positive comments.